The mayor of Greenwood is pleased to announce that the evacuation plan for Greenwood has been completed. 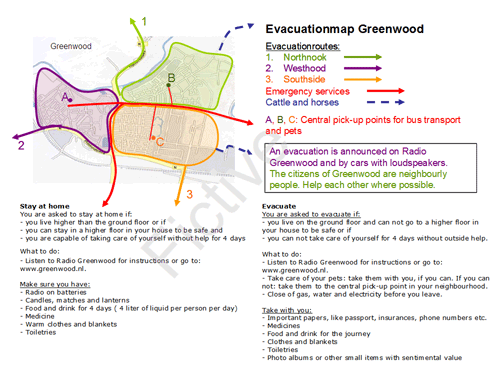 All citizens of Greenwood have received a simple evacuation map with all the necessary information. Please go to the information meeting to hear more, ask questions and discuss the plan with the officials involved and with other citizens.